This painting is based on a dream I had not so long ago. There was a train, floating on the sky, who was heading right to a lighthouse. I tried first to represent exactly this scene, but it was too difficult. 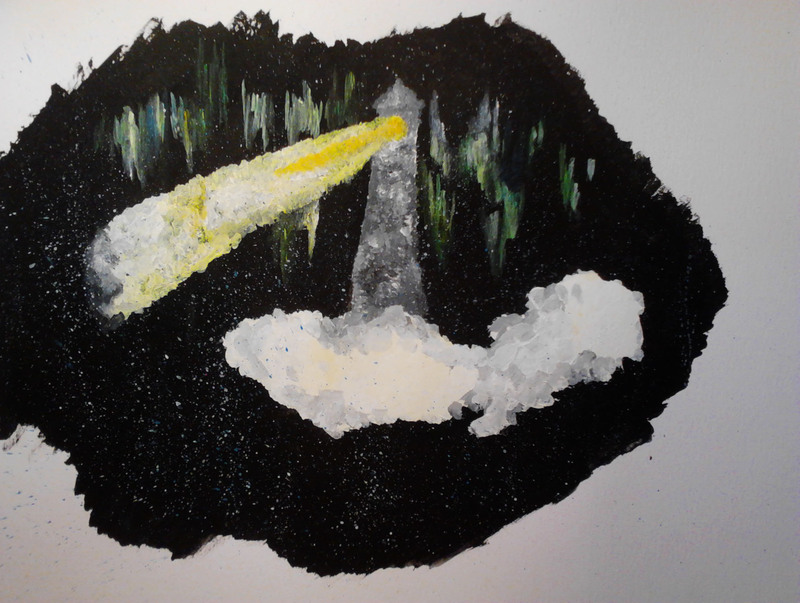 So instead I painted the lighthouse on a cloud. Just a little exercise, trying to merge dream with reality.